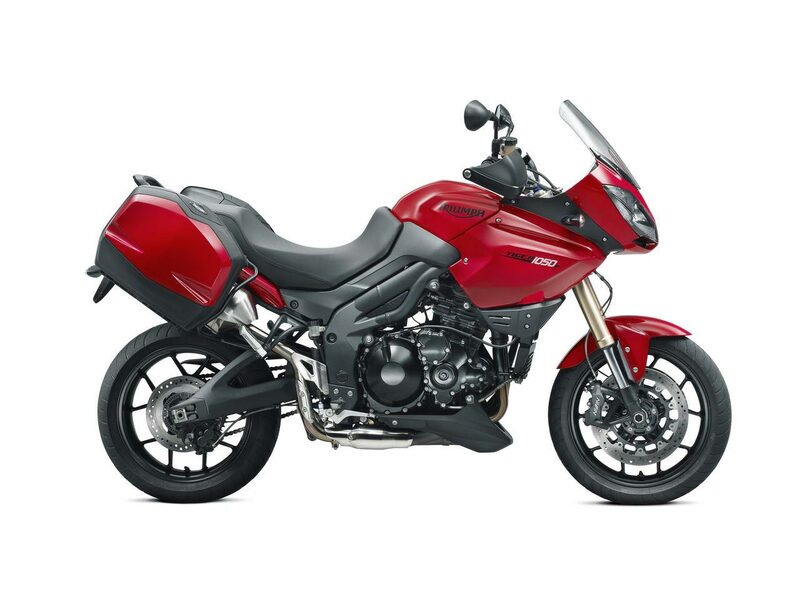 Simply revising the 2012 Triumph Tiger 1050 before completely updating the model in 2013, Triumph has announced that the Tiger 1050 will get stiffer suspension components for the next model year, along with some cosmetic changes. Including improved dampening and a stiffer spring for the rear shock (108 to 139N/mm. 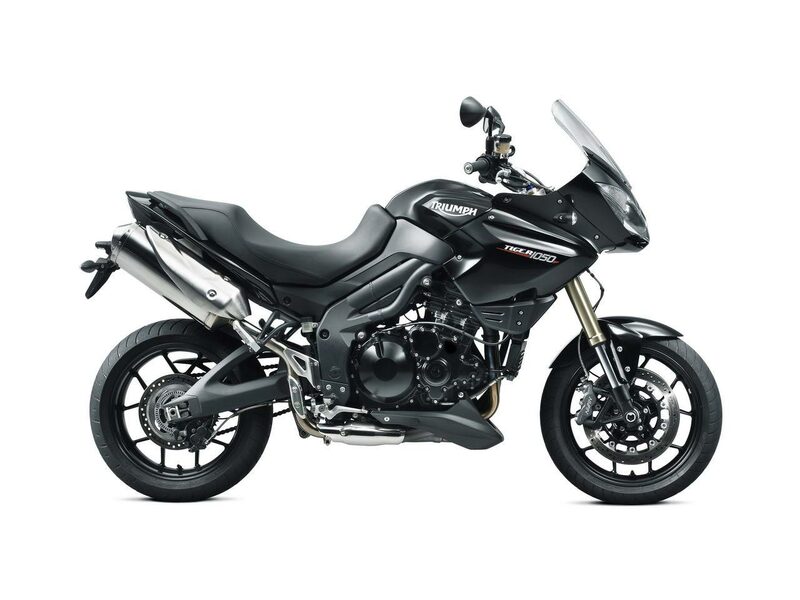 ), the British company hopes the revised suspension will give the Triumph Tiger 1050 better feel when traversing the roadway. 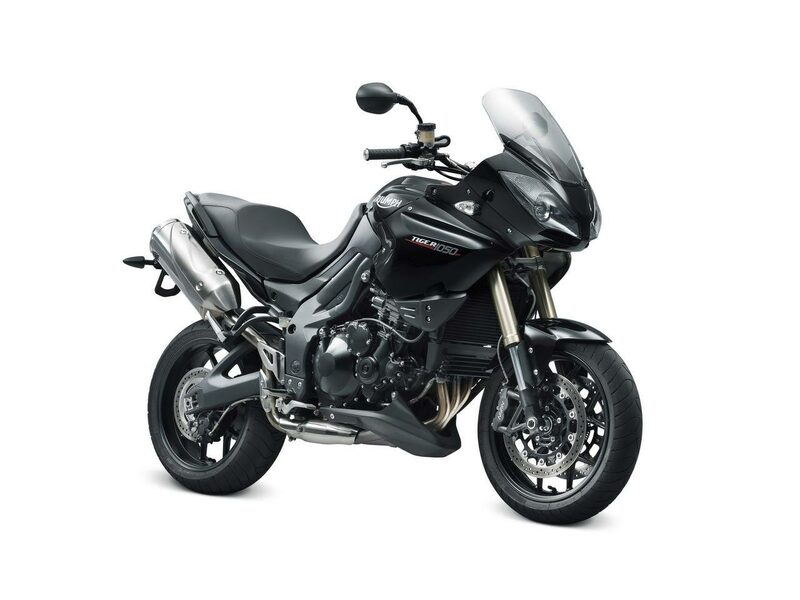 Other mechanical changes include new handlebars that are 20mm lower than before, meaning the larger Tiger will have a slightly sportier riding position for 2012. Triumph’s last tweeks to the 2012 Triumph Tiger 1050 is a new cosmetic package, which sees new graphics on the bike’s side panels, new turn signals, and the elimination of some chrome bits. Other bare-metal pieces have been blacked out, including the new aluminum handlebar. 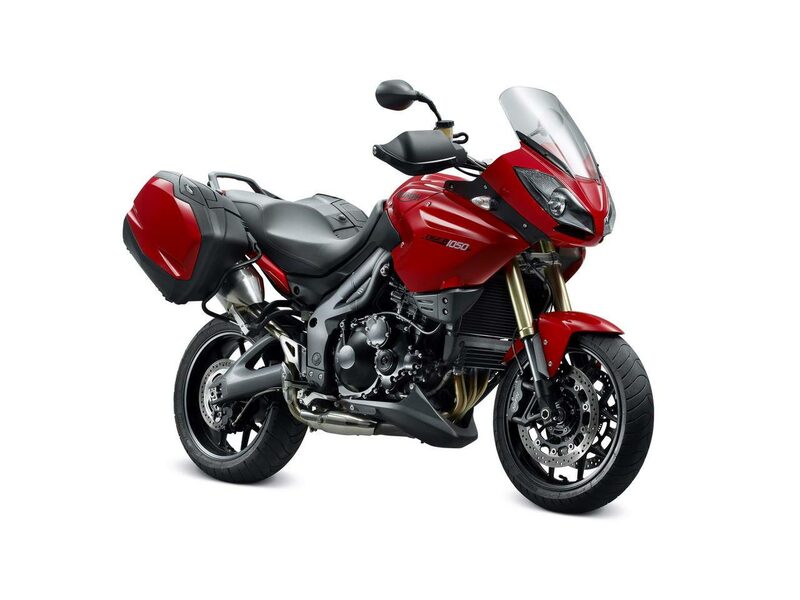 The 2012 Triumph Tiger 1050 will come in Phantom Black, while the ABS models will come in Diablo Red, Crystal White, and two-tone matte black color scheme. Pricing should remain unchanged.